A new space is taking shape. Clean. Bright. A stone's throw from the ballpark. A step away from downtown. Welcome to 15 Main. 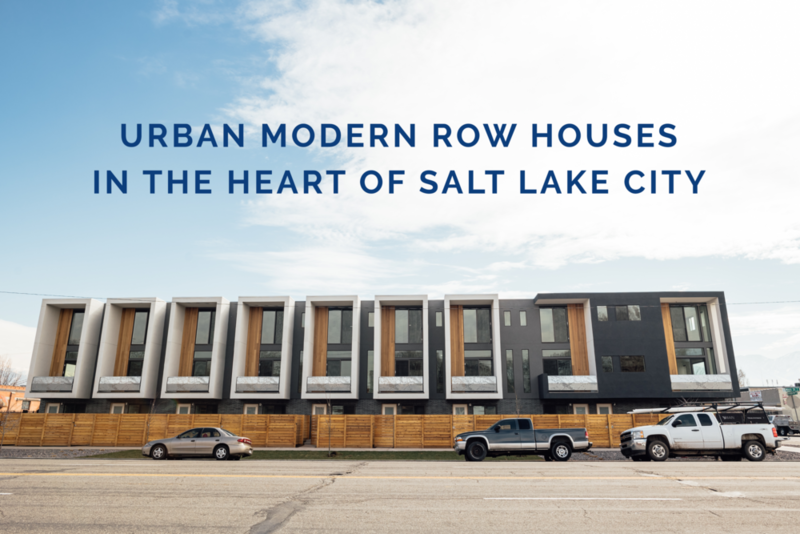 Designed by acclaimed architect Pierre Langue of Axis Architects, these row houses make a modern statement yet make you feel right at home. They're perfectly priced for singles, pairs, professionals, and ready-to-mingles. 15 Main proves that you can live right in the city and still enjoy comforts like a double-car garage, outdoor patio, and yard. Multi-level living gives everyone a little breathing room, while the neighborhood beyond offers something to do any day of the week. Interested? We can't blame you. You're in the good hands of Paul Svendsen of cityhomeCOLLECTIVE. Floor plans with a sense of place. 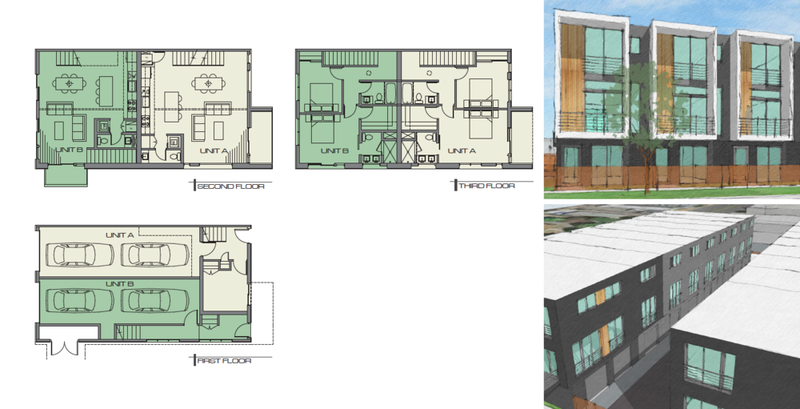 15 Main's townhouse-style units vary in size and layout, with ground-floor patio entry into every unit for a seamless connection with the Ballpark neighborhood outside your door. Two-car garages beneath each unit offer secure covered parking with plenty of adjacent storage space. A standout in the cityscape, 15 Main feels both artful and human thanks to its distinct modern finishes, textures, and architectural taste. A driveway between 15 Main's two buildings offers access to your garage parking, which keeps the fenced front patios free for fresh-air hangouts. The open, multi-level interiors range from two to three bedrooms, with three different layouts to choose from. The spaces can easily accommodate a live-work arrangement if that's your thing. 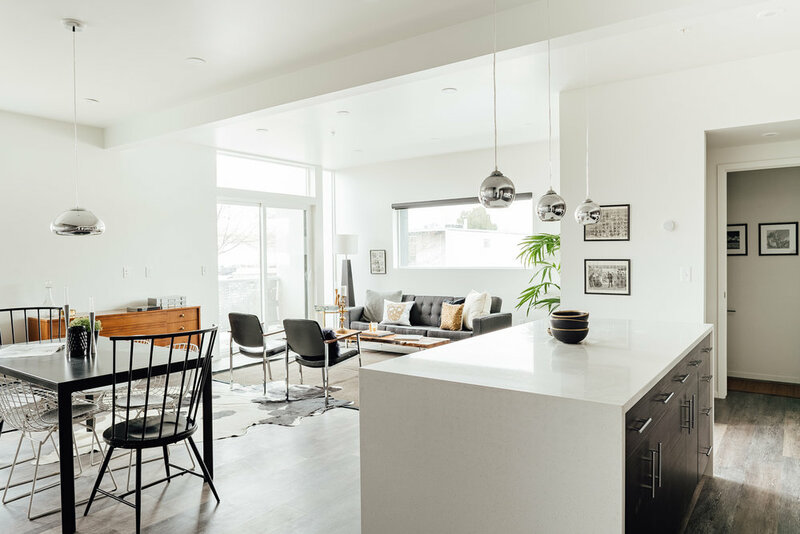 While each layout has its own thoughtful approach to urban living, every floor plan offers excellent use of space, plenty of light, and a refined style. Clean, modern finishes set the tone for your space. 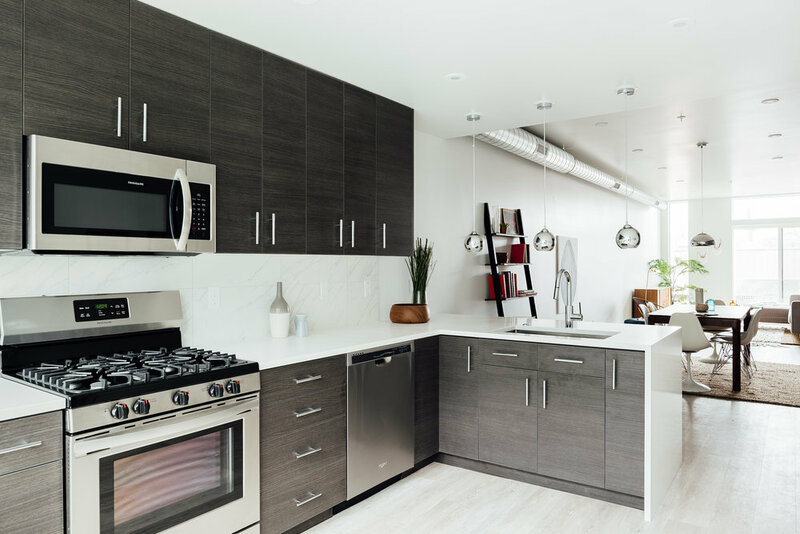 The details add up: 15 Main's quartz countertops, sleek cabinetry, modern light fixtures, high-efficiency furnaces, passive solar design, and European faucetry make for a distinctive setting. It's the perfect canvas for a city home to call your own. Yes, the city's ballpark is a few blocks away ... but this neighborhood is much more than its namesake. Salt Lake's next great eclectic 'hood, the Ballpark area, is home to walkable restaurants, shops, bars, and (yes) even a pastry shop, with quick access to the downtown TRAX rail line. So hop on a bike or train to the center of town, or keep things close to home with a stroll to Sweet Lake Biscuits and Limeade, RoHa Brewing Project, or the Lucky 13 biker bar. The freeway's just a moment away if you have further-flung destinations in your day. The 15 Main row houses start at the mid-$300,000s, with construction set to complete in 2019. Check out the latest pricing and availability updates in the unit map below. Interested in learning more? You'll be in the capable hands of Paul Svendsen, seasoned cityhomeCOLLECTIVE realtor. Get to know Axis Architects' award-winning work and its team, including the acclaimed architect of 15 Main, Pierre Langue. Good things happen when the best come together.